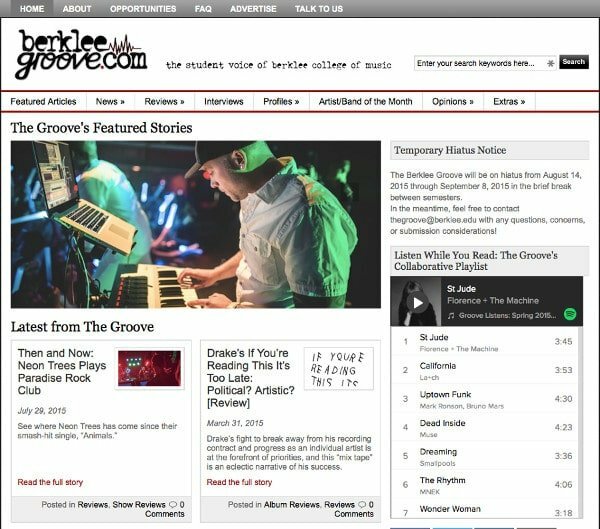 The Berklee Groove is Berklee College of Music’s student voice in the form of an online newspaper covering the latest music industry news, show reviews, album reviews, interviews, and more, The Groove strives to provide interesting, entertaining, and relevant information for the Berklee and Boston communities. Toby Elwin played a major role at Berklee College of Music in transforming its student 8-page print newspaper into an electronic and dynamic form of student communication. “[H]is work leading focus groups, directing student leaders, and coaching the editors to produce a business case and to facilitate their own assessments. 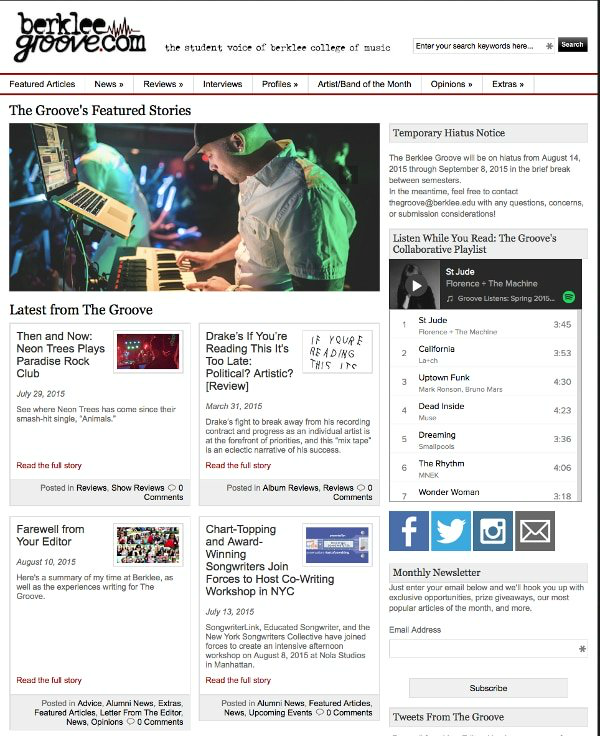 As the editors are about to graduate, BerkleeGroove.com is thoroughly prepared to take on the new challenges facing them. Thanks to Toby we have a sustainable publication serving a community of 5000. “The students working on this project are very creative and brought up numerous approaches to a problem. However, it was Toby that helped them to gain strong business and interpersonal skills. “Toby is someone I trust to deliver services and products on schedule. The project was launch was scheduled in three months and he made it happen.